To maintain specimen integrity, lock boxes must be packed and stored with each specimen’s temperature requirements in mind. 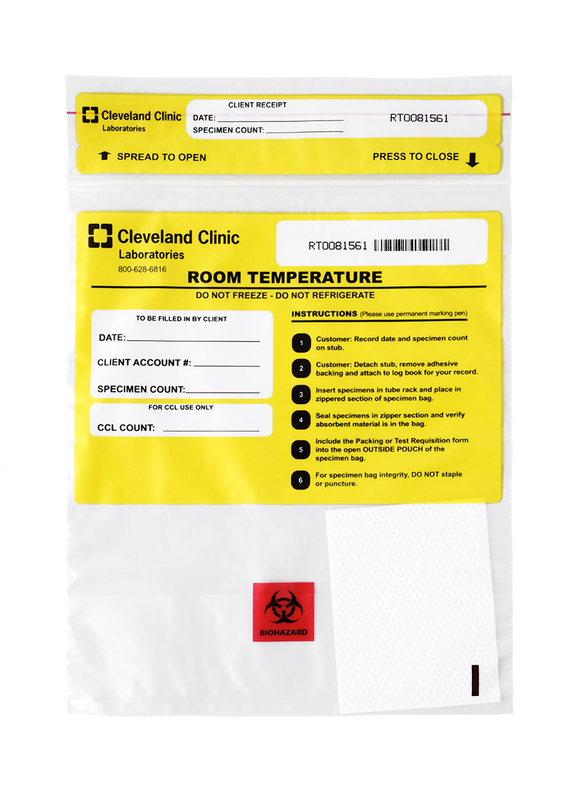 • CCL recommends that your location’s lock box should be kept indoors at room temperature until it is packed and prepared for Cleveland Clinic Laboratories (CCL) courier pick-up. • When setting out your lock box for CCL pick-up, ensure that it is located in a dry location that is sheltered from the elements such as extreme temperatures, sun exposure, rain or snow, and other potentially hazardous weather conditions. • If you are concerned about weather or environmental conditions affecting your specimens’ integrity while stored in your lock box, please contact Client Services to arrange a special pick-up. 1. Secure all specimens in ambient (yellow) specimen bags. 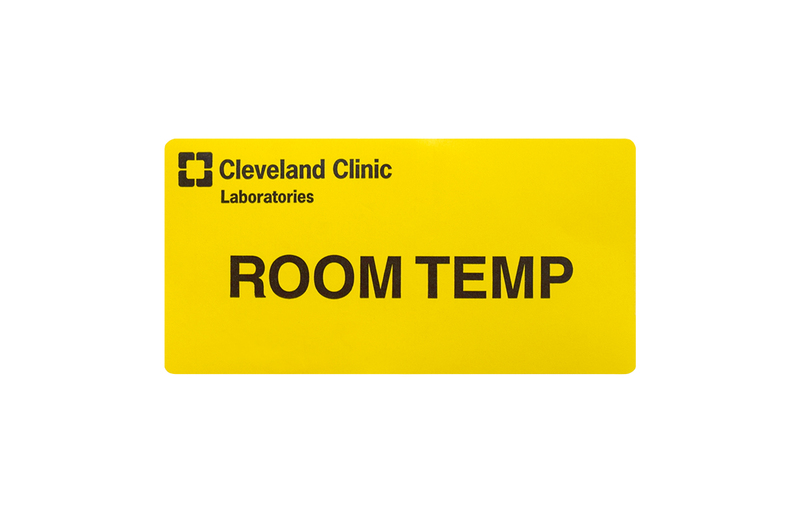 • If using a clear specimen bag, affix a yellow room temperature/ambient label to indicate the required temperature. 2. Place the specimen bags into the lock box. • No gel packs or other temperature-controlling items are needed for specimens sent at ambient temperature. 3. Secure the lock box, and place it in your designated courier pick-up location. 1. Secure all specimens in refrigerated (green) specimen bags. 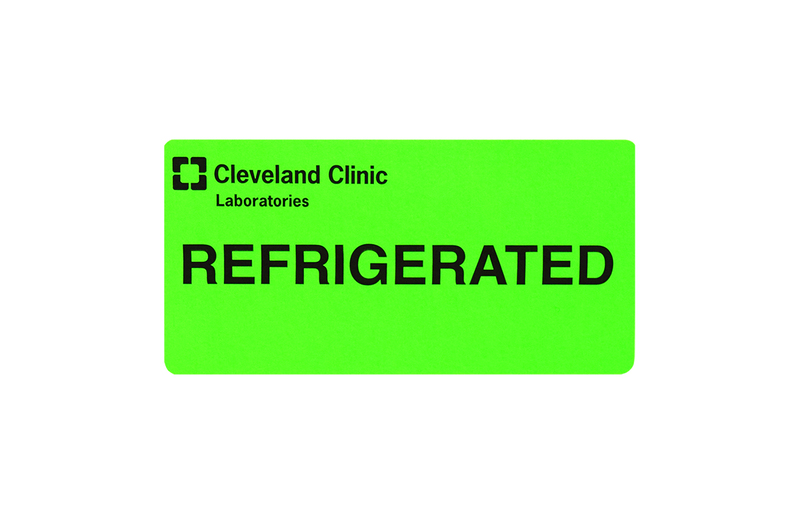 • If using a clear specimen bag, affix a green refrigerated label to indicate the required temperature. 2. Place a frozen gel pack onto the bottom of the lock box. 3. Add a thick styrofoam divider or several layers of paper towels on top of the gel pack to act as a barrier between it and the specimens. • This barrier must be thick enough to prevent the cold gel pack from freezing the refrigerated specimens. 4. Place the specimen bags into the lock box on top of the divider. 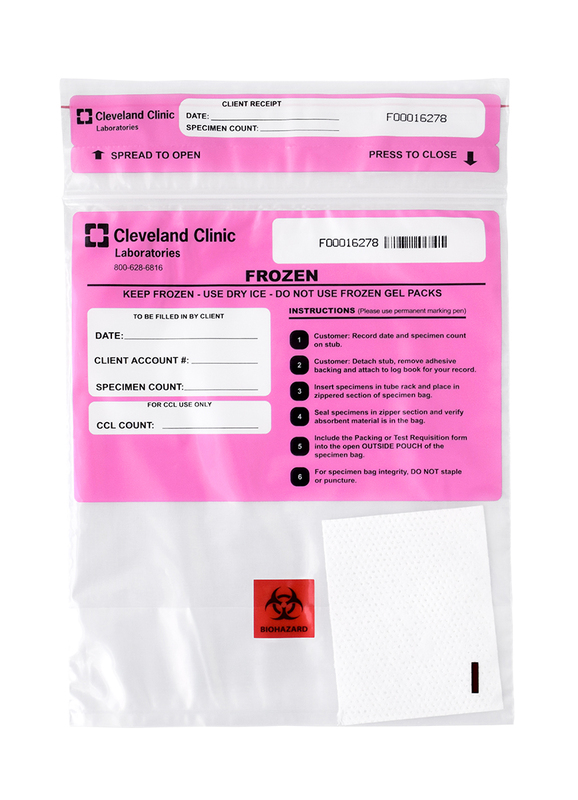 • Do not place refrigerated specimens directly onto the frozen gel pack. 5. Secure the lock box, and place it in your designated courier pick-up location. 1. Secure all specimens in temperature-specific specimen bags. 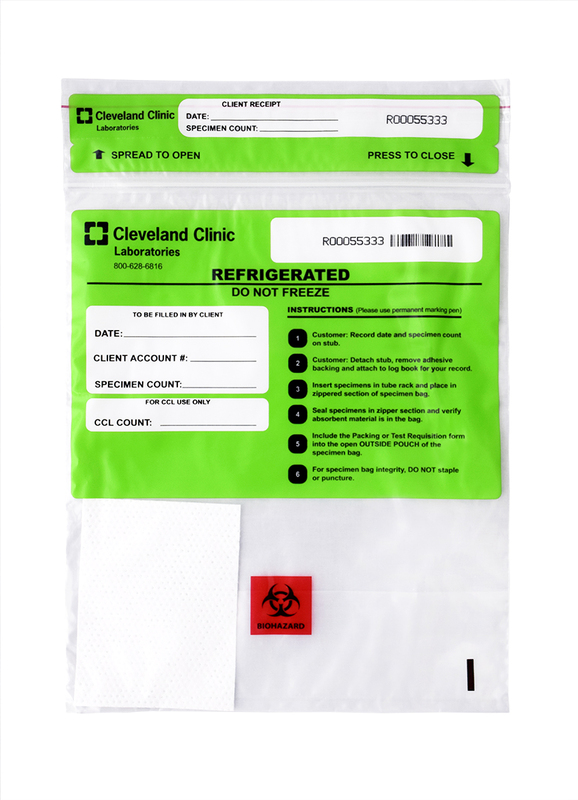 • If using a clear specimen bag, affix a label to indicate the required temperature. 4. Place the refrigerated specimen bags into the lock box on top of the divider. 5. Add a second divider on top of the refrigerated specimens. 6. Place ambient (room temperature) specimens into the lock box on top of the second divider. 7. Secure the lock box, and place it in your designated courier pick-up location. To maintain specimen integrity, frozen specimens require a special pick-up. If you have a frozen specimen to send to our laboratory, please contact CCL Logistics or Client Services to arrange a special pick-up during Monday through Friday, 8:30am – 4:30pm EST. If you are calling after hours, please call Client Services to schedule a next-day pick-up with one of our couriers. Please make sure to place the specimen in your freezer until the courier arrives; otherwise, the specimen may be compromised, and testing may be delayed or canceled. 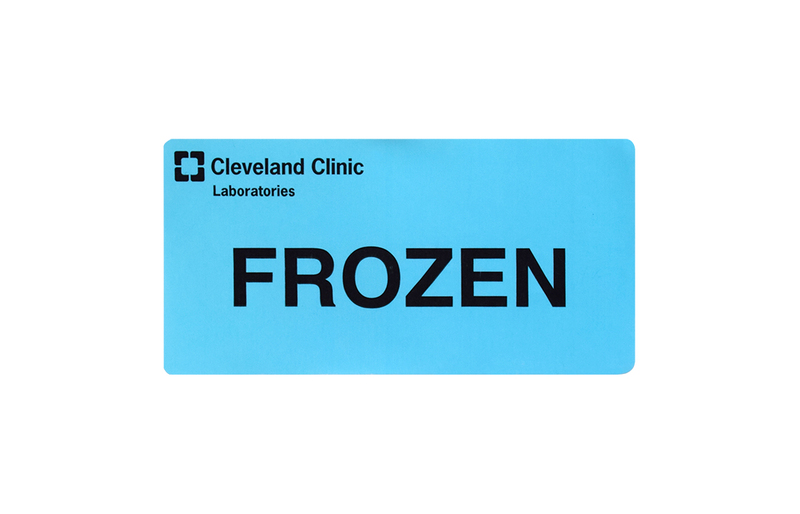 Most shipping supplies are provided by Cleveland Clinic Laboratories, and can be ordered online through our Supply Storefront. If you need assistance ordering online, please contact Client Services.